Keeping up to date with rapid technological advances has become a real issue, especially with the adoption of cloud technologies. Gone are the days when traditional learning methods can be applied. It is possible that, if a group of people need to skill up on cloud data technology, and the training of people is staggered over several months that the first people are already out of date by the time the last person is trained. Another issue is the prolific number of cloud technologies, tools, services and products that are changing at speed, so much so, that some products may only be around for one year before the consumer has to face a rapid migration process to a new solution. To address these rapid changes it is necessary to adopt an adaptive learning style that is not only updated by exam every 3 years. It is necessary to have your own individual learning plan which has daily options, weekly options, monthly options and certification tracks. The key is to remain agile and build learning into your everyday routine. As part of that learning plan there has to be three elements: research, theory and practice. There are always changes to vendor certifications to keep them relevant. The newer MSCE exam, Data Management and Analytics certification are to be taken each calendar year and you have the opportunity to earn the certification to receive an additional entry on your transcript. 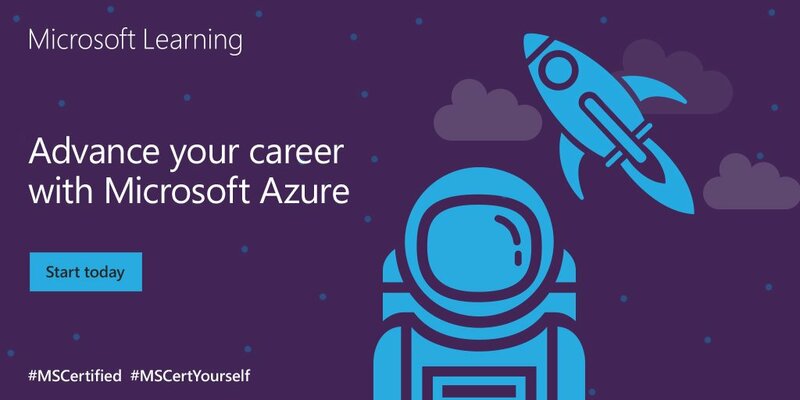 The Microsoft solution expert exams demonstrate your broad skill sets in SQL administration, building enterprise-scale data solutions, and leveraging business intelligence data—both on-premises and in cloud environments. Amazon do not have the same breadth of data certifications yet with the AWS certification being for Big Data only.